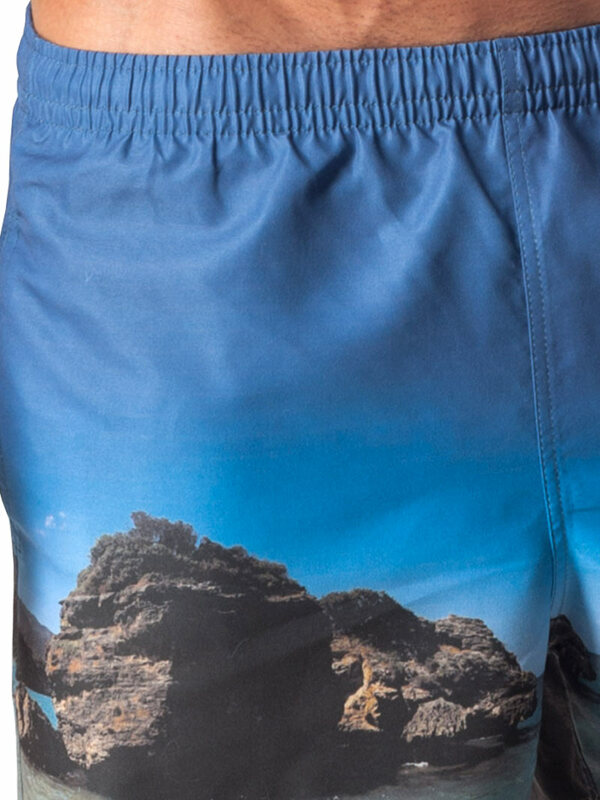 Inspired by the waves, rocks and breeze is the Geronimo 1565p4 Board Shorts. Conquer the waves in style. 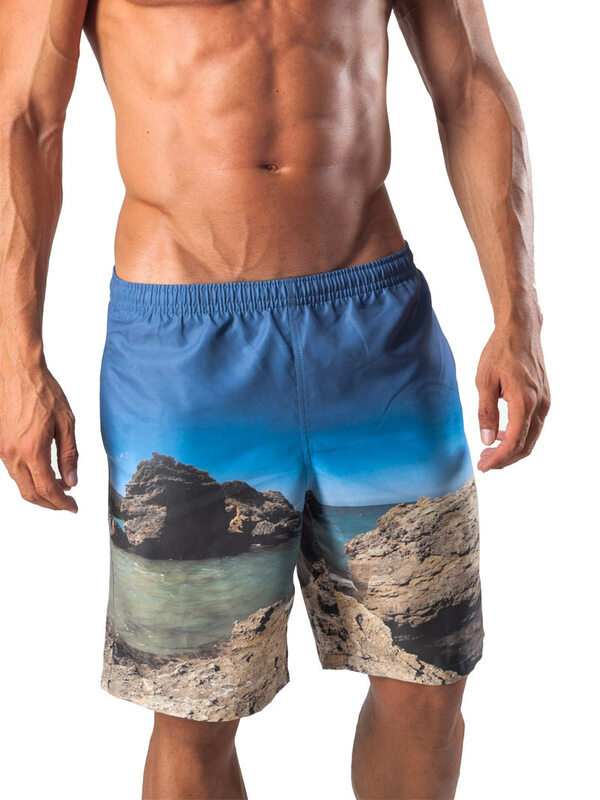 With beautiful laguna rock print and perfect leg length, the swim short will make you look amazing when it's time to hit the waves. Together with the high-quality, quick drying, lightweight fabric of this short creates a trendy swim suit you can count on. This stylish shorts has loads of extras deep side pockets, plus one on back right side with metal drain hole. Inside there’s a mesh support brief. While the waistband provides extra fit and allows corrections of the waist size.